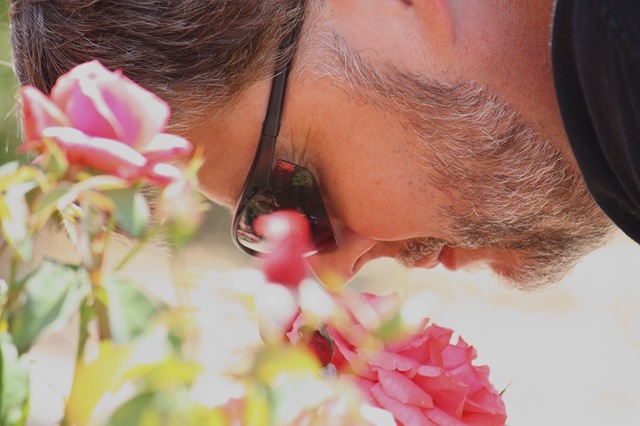 He Stopped to smell the roses…. A variety of random thoughts….tell me these stream of consciousness posts don’t entertain you! First of all, thank everyone for your comments about Vivienne…as everyone else has discovered, she was special…I sent her niece a condolence card, and she replied that she felt the need to send everyone who met Viv a sympathy card, because everyone lost…. …My stepson’s CD release party for their band MEMORY FADE was LOUD! But go listen to the music on their website, and buy the album! I will be putting up photos shortly…. HAVE A HAPPY SAFE 4TH of JULY!